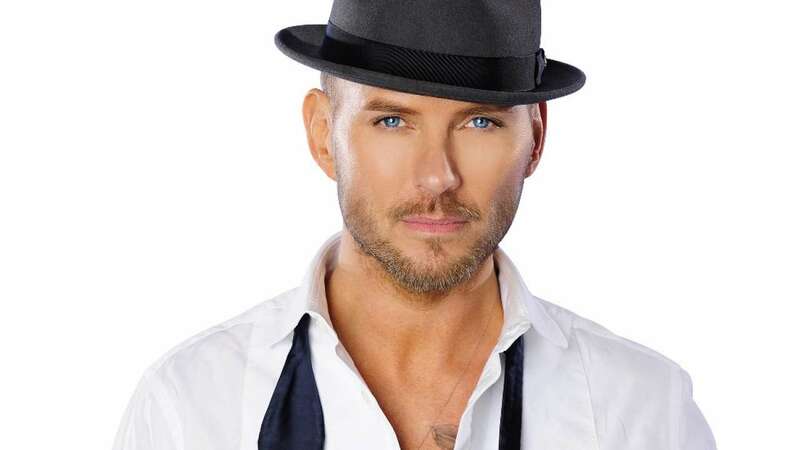 Backed by a nine-piece band, the stunning Dirty Virgin dancers and a loyal legion of fans, smooth crooner Matt Goss is reviving the magic and glamour of vintage Vegas four nights a week at Caesars Palace. After experiencing Goss’ show for ourselves, we sat down with the performer to get the inside scoop on his revamped act, his new life as a Las Vegas local and why he believes it is so important to keep the vibe of ’60s Vegas pulsing throughout the Entertainment Capital of the World. 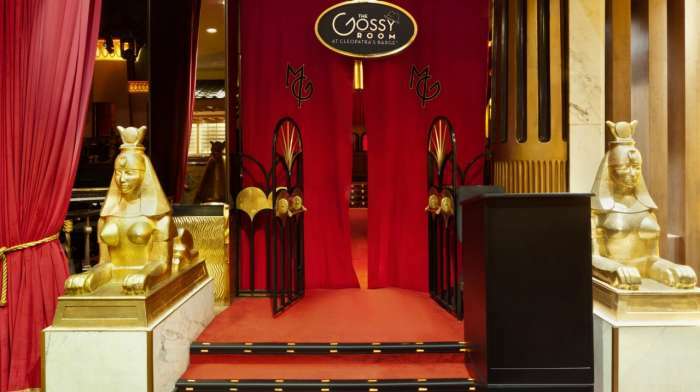 “I truly believe when I say this that [The Gossy Room] is the most magical place at Casesars Palace,” said Goss as he topped off his hot mint and honey tea in a private booth at Spago. Formerly Cleopatra’s Barge, The Gossy Room is an intimate 165-seat venue that has hosted numerous icons including Frank Sinatra and Sammy Davis Jr. since its opening in the ’70s. A hotspot in its heyday but momentarily cast aside with the introduction of Vegas’ megaclubs, Goss is not only bringing back the intimate entertainment experience that once ruled the days of yesteryear but, in true Gossy fashion, he is doing so with style… lots of it. Stepping into The Gossy Room is like entering a wrinkle in time. Oozing with glamour, the room’s sultry hues of crimson and Jessica Rabbit-red complement the golden décor and dim flickers of tabletop candles and scattered sconces set the swanky mood. “The Gossy Room is like Ronnie Scotts in London; one of the greatest jazz clubs…My dream is for the Gossy Room to become one of the greatest swing, jazz, soul venues in the world,” offered Goss. Engulfed in the room’s romance, the clinking champagne flutes, laughter and excited chatter of the crowd add to the posh ambiance before Goss’ velvet vocals command the attention of the dapper attendees. And by the looks of the dressed-to-the-nines patrons, the grace of tuxedo-clad Goss is reciprocated in spades on a nightly basis. As the clock strikes 9:30 p.m. the swinging speakeasy-esque band strikes up and after the show opens with his original “All About the Hang,” Goss welcomes the awe-struck atendees and proceeds to serenade the onlookers. Singing two-thirds original music as well as an assortment of covers from personal musical influences, Goss’ nearly two-hour long performance boasts a little something for everyone. Muted trumpets lead into hits off of his “Life You Imagine” including the venomous “Evil,” the powerful “Strong,” which has been adopted by Susan G. Komen for the Cure as their foundation anthem, as well as Goss’ newest hit “Movies in Your Mind,” which he wrote after losing his mother to breast cancer last year. Similar to the days when the entertainers were your friends and audience/performer interaction was common practice during the shows, Goss’ approach fuses the audience in a comparable fashion. 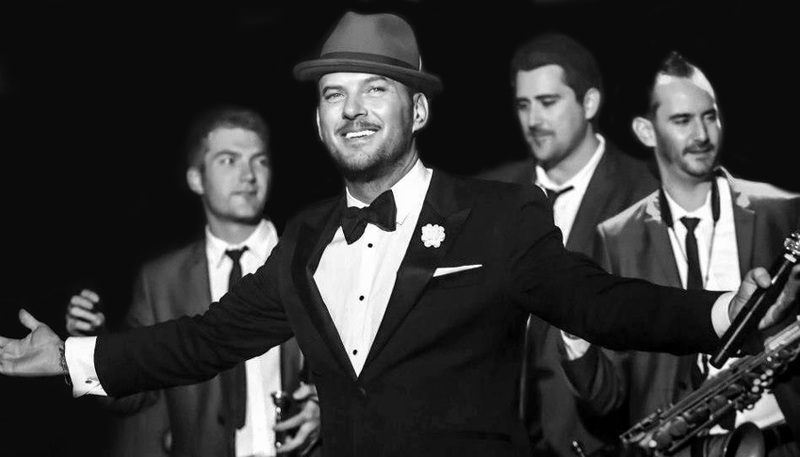 Click here for Matt Goss’ full performance schedule at Caesars Palace.